The vessel, called Golden Bridge, has a capacity for more than 1500 passengers, 500 vehicles and more than 130 cabins. The crossing will take about 5 hours. FRS will introduce a faster and higher capacity vessel to the Melilla - Motril route in the coming dates. The RoPax vessel, Golden Bridge, will start operations on the line next May. This vessel, with an overall length of 186 metres and beam of up to 24 metres, can make the Melilla - Motril crossing in 5 hours, meaning a reduction by 2 hours on the current crossing time. The RoPax Golden Bridge that is being completely refurbished and adapted to the needs of the line, will be incorporated in May, so that most of its facilities will be used for the first time by customers of the line Melilla - Motril. The vessel has a capacity for more than 1500 passengers, 500 vehicles and cargo. It also has more than 130 cabins, restaurant, bar, shop, lounges, play area for children and open deck, among other services. With this vessel, FRS is fulfilling once again its promise to offer the best to its clients. “We have listened to the requests of the people of Melilla and we are going to operate a vessel that meets the needs of this route. As we say, we set out to gain the confidence of the Melilla’s people with facts,” explains Ronny Moriana, Managing Director of FRS Iberia. “We are also grateful for the efforts and collaboration that the Melilla and Motril Port Authorities have shown us throughout this whole complex process of introducing a new vessel.” FRS, that has operated the Melilla – Motril crossing since last July, will be selling tickets for the “Golden Bridge” in the coming dates. The FRS Group is a leading shipping line in the transportation of passengers, vehicles and cargo. 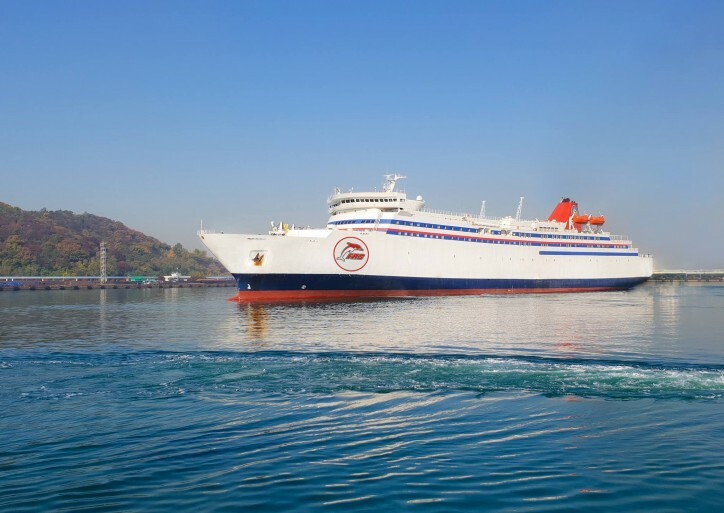 With more than 150 years’ experience, the company operates ferry lines and fast craft in Europe, North Africa and the Middle East. FRS have operated in the Gibraltar Straits since 2000. The company covers the Tarifa-Tangier, Algeciras-Ceuta, Algeciras - Tangier MED, MotrilMelilla and Huelva – Canary Isles routes.